Published: April 01, 2019 10:22 Usman Ghafoor, Special to tabloid! After the lukewarm response that his second film (‘Mehrunnisa V Lub U’) got at the box office, director Yasir Nawaz came to the conclusion that his debut feature — the smash hit, ‘Wrong No’ — deserved a sequel. Soon came the announcement of (the weirdly titled) ‘Wrong No 2’. 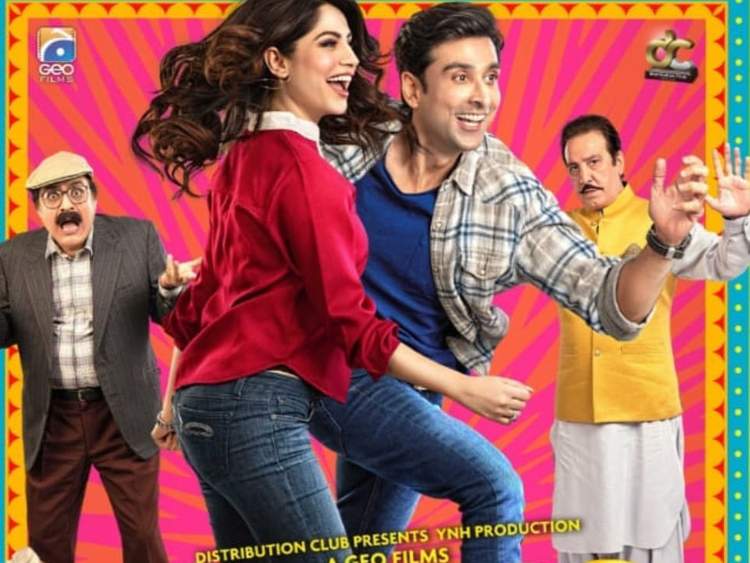 Interestingly, for the second installment, Nawaz gave up on his prized find, Danish Taimoor, and even Sohai Abro, and opted for Sami Khan and Neelam Muneer, both of whom are relatively senior TV actors but have yet to make their mark on the big screen. ‘Wrong No’ retold the fictional tale of a prince and his lookalike, a pauper, and what happens when they switch places. Mistaken identity was aptly used by the director as a comic device but it is not clear if the sequel is a continuation of that story. Meanwhile, the makers have revealed the first poster of the film, which is quite fun to look at. ‘Wrong No 2’ is slated for release on Eid Al Fitr 2019 (June).